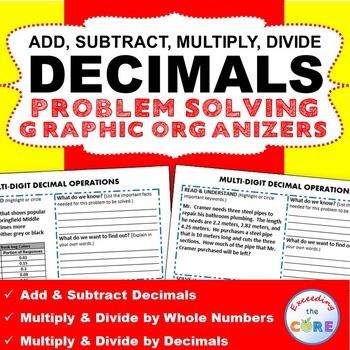 This BUNDLE includes 40 task cards, 10 error analysis activities and 10 problem solving graphic organizers , 5 homework practice worksheets(a total of 110 decimal skills practice and real-world word problems). 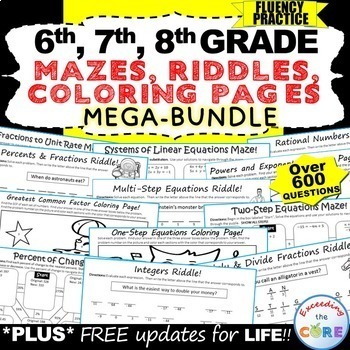 The resources in this bundle are perfect for warm-ups, cooperative learning, spiral review, math centers, assessment prep and homework. 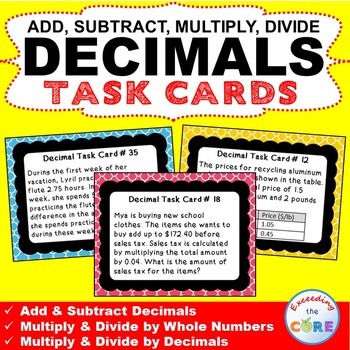 * 6.NS.2 Fluently divide multi-digit numbers using the standard algorithm. 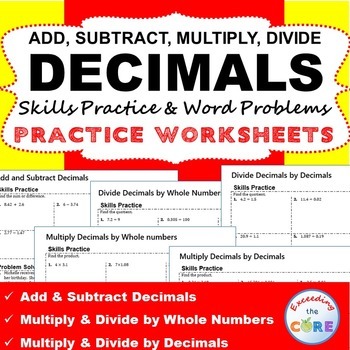 * 6.NS.3 Fluently add, subtract, multiply, and divide multi-digit decimals using the standard algorithm for each operation. 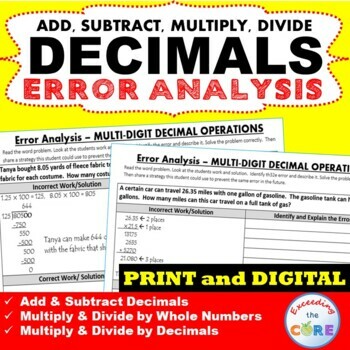 * MP3 - Construct viable arguments and critique the reasoning of others. 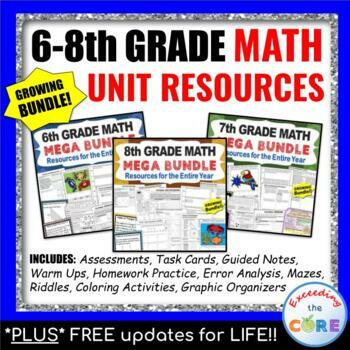 Please click on each image for a detailed description of what is included in this bundle.